"Tell your love Story, without saying a Word"
Hello! 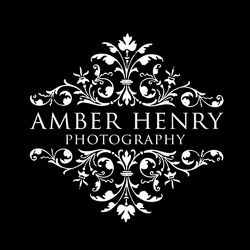 I'm Amber Henry and I am a Michigan based Wedding and Portrait photographer. I specialize in unique and beautiful wedding, senior, beauty and portrait photography. My images are commonly referred to as romantic, magazine-worthy, and playful with a touch of glamour. With my studio located in the heart of Michigan in Saginaw, I easily travel for weddings. From Lansing, Detroit, Charlevoix, Grand Rapids, Ann Arbor, Traverse City, Leelenau, Huron, Muskegon, Bloomfield, Sterling Heights Rochester Hills, and of course Bay City and Midland, I happily travel for my clients. We also easily serve Chicago and all of Ohio. If you are traveling to the Michigan area I would love to have you come into the studio for a consult and to hear all about your wedding day or portrait ideas. I also love planning glamour, boudoir, and graduating senior sessions to make them as unique as you are. I am also available to chat by phone or over skype. In studio or on location, a perfect way to get to know our style, feel comfortable in front of the camera, and tell the story of your relationship. Children who see their portraits on the wall grow up feeling loved, secure, and a sense of home. Fashion, Fun, Unique, and all about You. Bring your vision to life, a collaboration to create images as unique as you are.